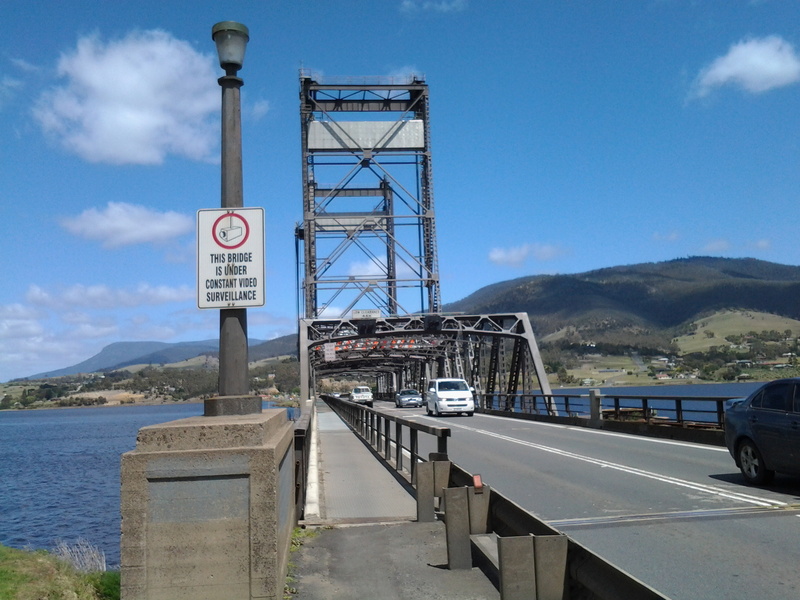 The Bridgewater Bridge and the attached Bridgewater Causeway crosses the Derwent River upstream approximately 38.5kms from the sea. I crossed from the eastern shore to the western shore last Tuesday near the end of my 8th walking stage along the River. 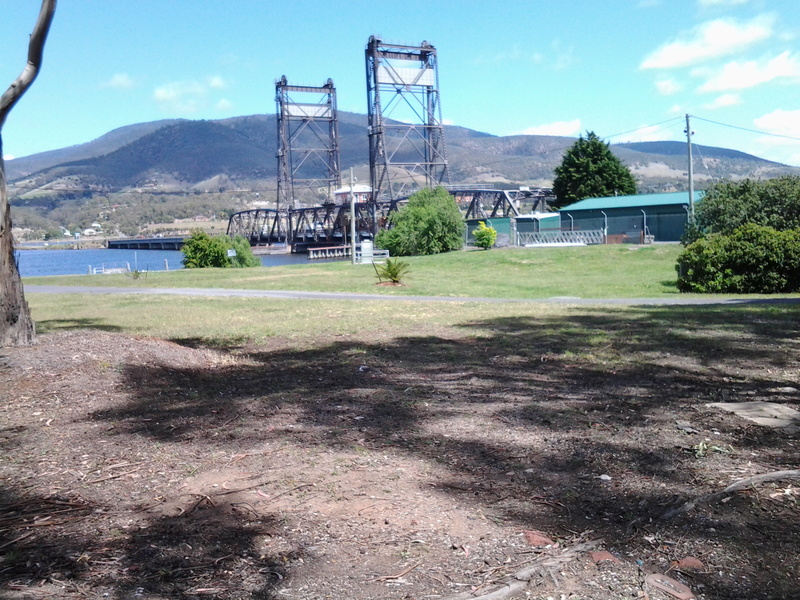 According to http://www.aussietowns.com.au/town/bridgewater-tas, “In the early nineteenth century Bridgewater was a vital link on the north-south route from Hobart to Launceston with one of Tasmania’s earliest buildings and the remarkable achievement of the causeway which helped to cross the Derwent River. 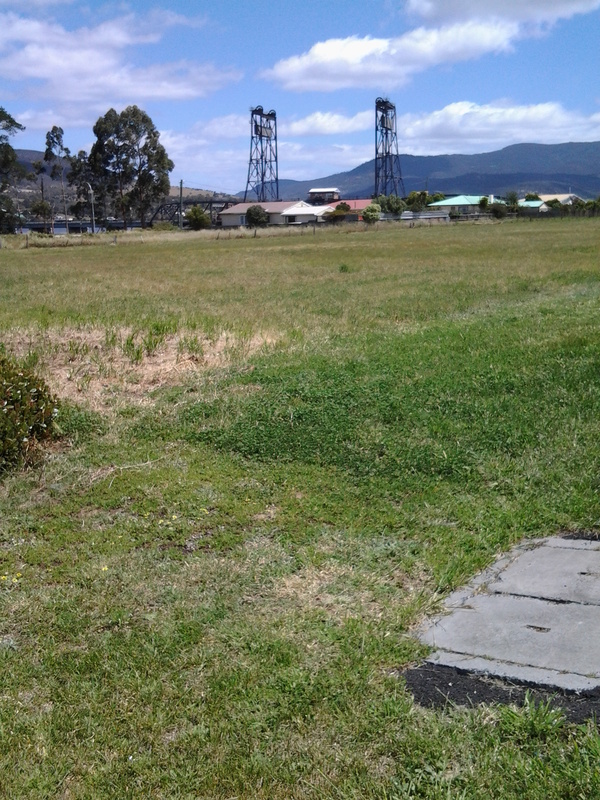 The settlement was originally known as Green Point until it became known as Bridgewater simply because it was the bridge (actually a causeway) crossing a shallow section of the waters of the Derwent River. The first ferry service across the Derwent was established in 1816 by James Austin and his cousin James Earl. 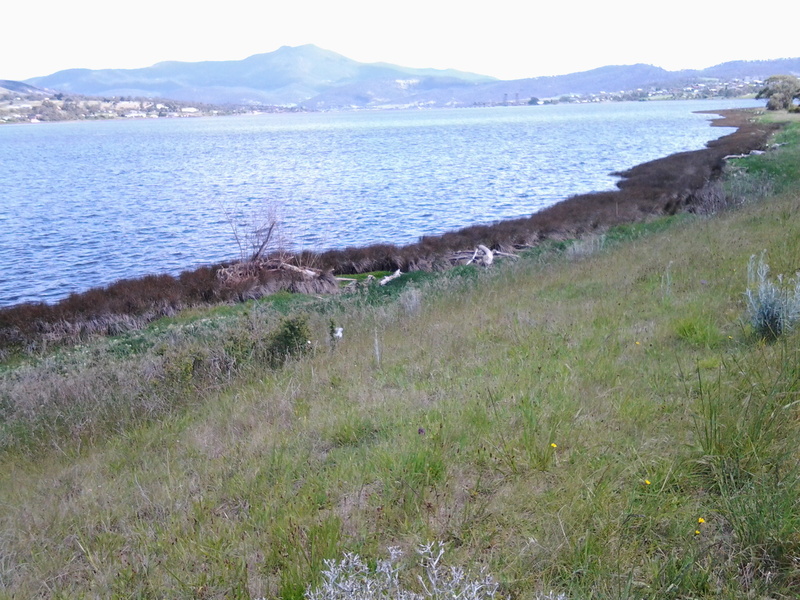 It remained vital to travellers journeying from Hobart Town to Launceston until the completion of the causeway. By 1820 Austin and Earl were using a punt capable of transporting 30 cattle, 200 sheep or two carts and 16 oxen. 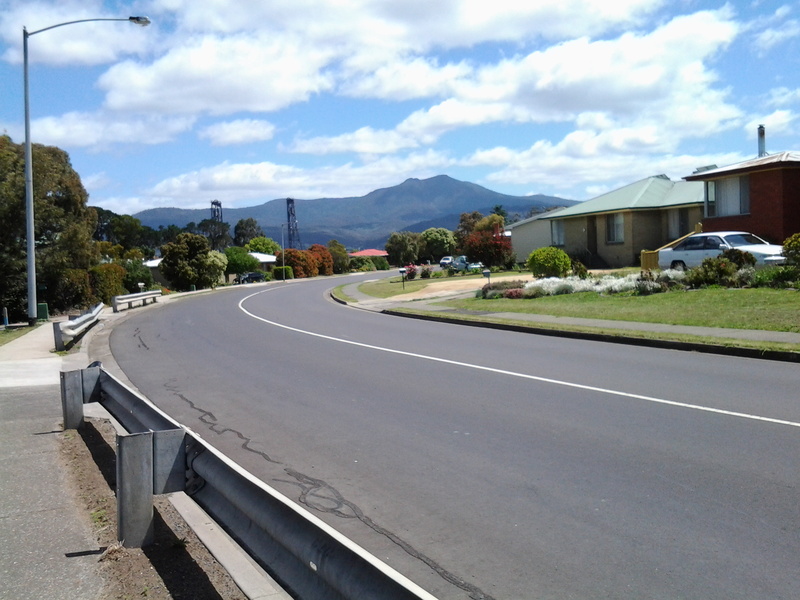 In 1829 construction began on a causeway across the Derwent River. It was 1.3 km long and was built by a gang of 200 convicts using nothing but wheelbarrows, shovels and picks. By the time it was completed the convicts had shifted 2 million tonnes of sand, soil, stones and clay. Defined as secondary punishment for serious recidivists, if the convicts were adjudged to have not done a full day’s work they were placed in solitary confinement in a cell which was only 2 m high and 50 cm square. The causeway was completed in 1836. 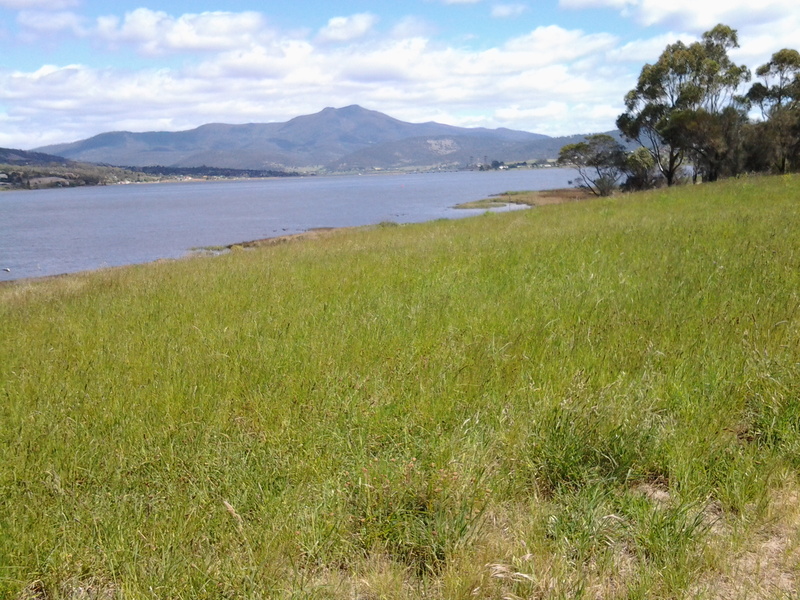 It did not traverse the river and so a ferry plied the deepest section of Derwent River for twenty years from 1829-49. From further south, as I walked along the eastern shore, I could see the Bridge. As I walked northwards the length and shape of it came into stronger focus. All the photos are taken from the eastern shore side of the Bridge. 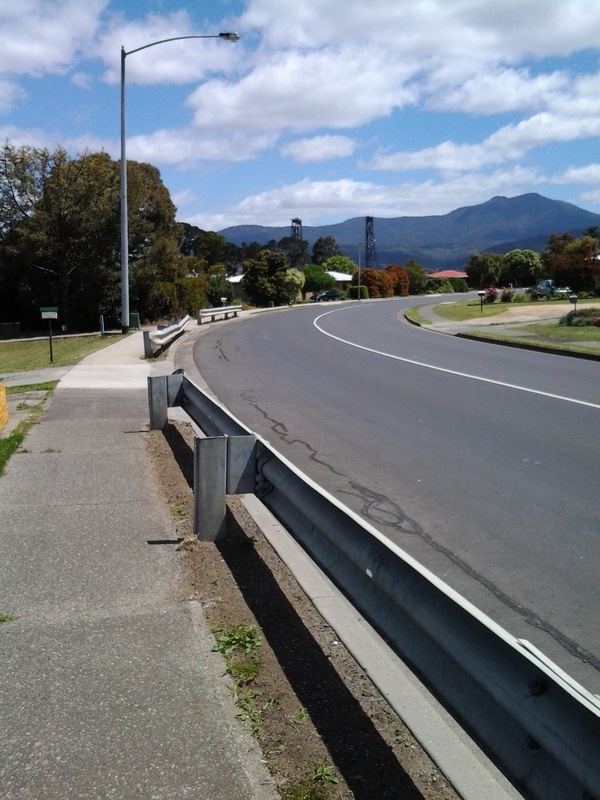 This entry was posted in Derwent River, Hobart, Mount Wellington, Walking and tagged Bridgewater Bridge, Bridgewater Causeway, Green Point, James Austin, James Earl, Tasmania on November 17, 2014 by Tasmanian traveller.